what foreign films will i be watching? which made it (almost) okay. and what types of books i'm reading. we don't have cable tv. (because it was free! it came with our rent! spent on the couch watching reruns of tv shows i didn't even care about. and find ways to get them. has proved invaluable in this capacity. and decide which ones we're both down to watch. as are documentaries and political dramas. with a dinner (loosely) associated with each country. starring the darling audrey tatou. rather than watching daytime tv. and flip to the middle to read a few paragraphs. rather than just turning on the tv and zoning out. and compared to that free year of cable tv? well, i like this much better. other than the sickness, that sounds like a fabulous way to spend the weekend! I need to train myself to reach for a book instead of the remote when boredom (or a free moment from work) strikes. I all too easily fall into the trap of bad reality TV, seductive as it is! but at the end of the day, I don't care about those drama queens and I'd much rather make a dent in my little library! you've inspired me... I hope it sticks! oh, and I love how you matched your dinners with the movies. so cute! makes a quiet night in a memorable experience, I think. I hope you're feeling better today koukla! My boyfriend and I love netflix as well - especially for the documentaries, foreign and independent films. 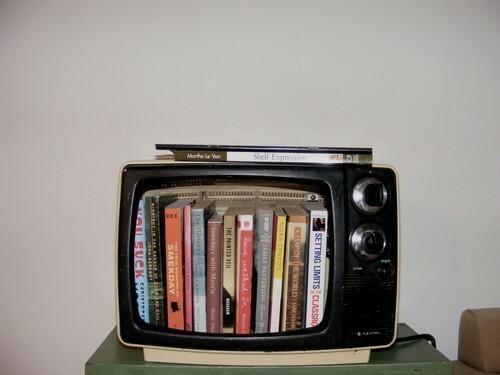 we've always loved living without tv. andrew is all about those foreign films & documentaries on netflix -- he would love to join you two for all of your movie choices! Our cable comes with our rent, too. My boyfriend and I watch a lot of travel shows and such on TLC and History, and the occasional NatGeo. And I love how you mentioned Nigella Lawson, I always have to refrain myself from eating while watching her show! And I admire you guys for your making your movie escapades meaningful.